Bridges Electric is your connection to quality electrical contracting services in the Dallas/Fort Worth Metroplex. Since 1987, we've built our customer connections on honesty and trust. It's a principled approach that provides you the best quality electrical installation and products at the best price. 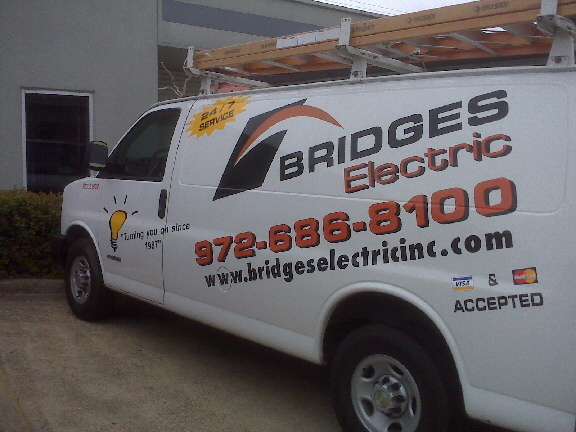 Bridges Electric has the manpower to get your job done. As professionals, we're not pushy, but we are pro-active at problem solving and listening to your unique needs. When you hire our electricians, you know they have the knowledge required to handle your most challenging project. Though our experience is varied and broad reaching, our focus is direct: Provide electrical work that is thorough, on time and within budget. We complete all our work in a safe manner. You'll appreciate our friendly and cooperative attitude, too. It's important to us to manage projects from a customer's perspective.